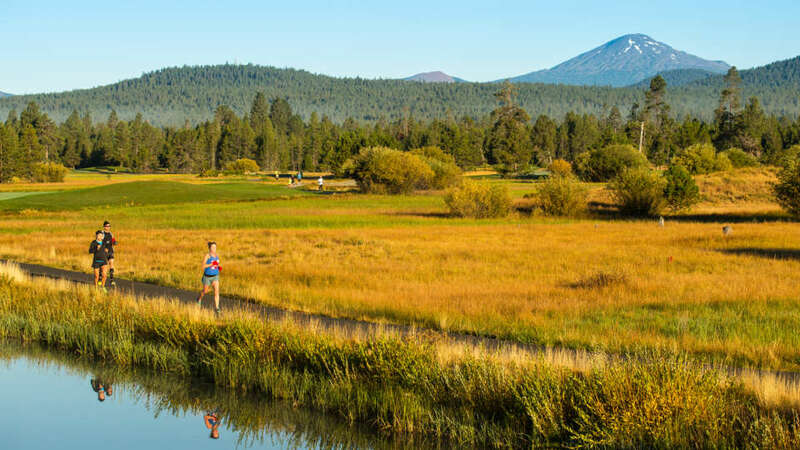 The annual Sunriver Half Marathon for a Cause winds through a course that shows off some of the Sunriver Valley’s most spectacular views. But – as its name suggests – it’s not just about fresh air, fitness and peaceful panoramas. This is a race with purpose. In 2018, more than 450 runners of all ages raised $38,500 for the St. Charles Cancer Center in Bend, Oregon. It pays for essential integrative therapies, such as Reiki, acupuncture and massage therapy. Learn more about St. Charles Cancer Center at stcharleshealthcare.org/Our-Services/Cancer-Care. Participants in the Sunriver Half Marathon for a Cause can pick the distance they feel most comfortable with – Half Marathon (13 miles), 10K (just over six miles) or 5K (just over three miles). No matter which distance you choose, you’ll be running with friendly folks through lovely natural scenery. All races start in front of the Sunriver Resort Lodge and connect over to asphalt bike paths of Sunriver, returning to the finish line in back of the lodge on the Meadows Lawn. Join us next year in 2019!